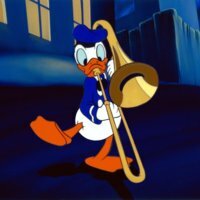 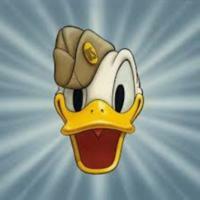 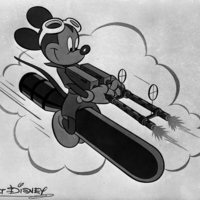 Donald Duck was one of the most prevalent characters in Disney propaganda. 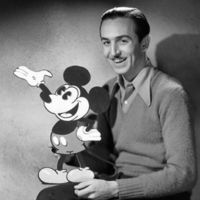 Walt Disney created Mickey Mouse by modifying his first animated animal Oswald the Lucky Rabbit. 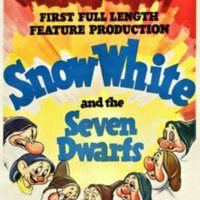 This is the movie poster from the first full-length animated film, Snow White and the Seven Dwarfs.